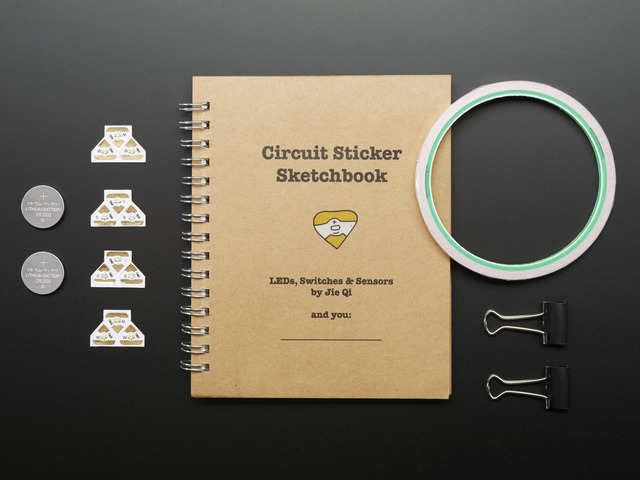 You can use any combination of circuit stickers for your own folder! 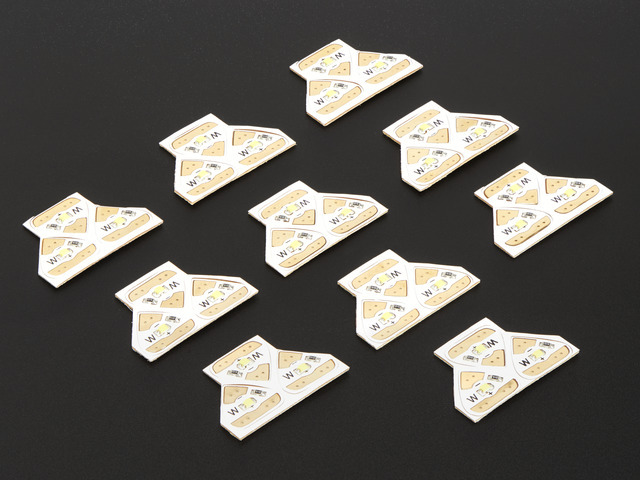 If you want to make your binder circuit turn on when you open the cover, print out the light sensor template and insert it behind the transparent layer (or sketch it out if your surface is opaque). Apply copper tape and circuit stickers according to the diagram. Depending on your circuit's position, the metal binder rings could short your circuit when you close the lid-- you can prevent it by applying clear packing tape over the copper tape! You can then remove the template. If you drew your circuit, the tape and components should have covered your marks. 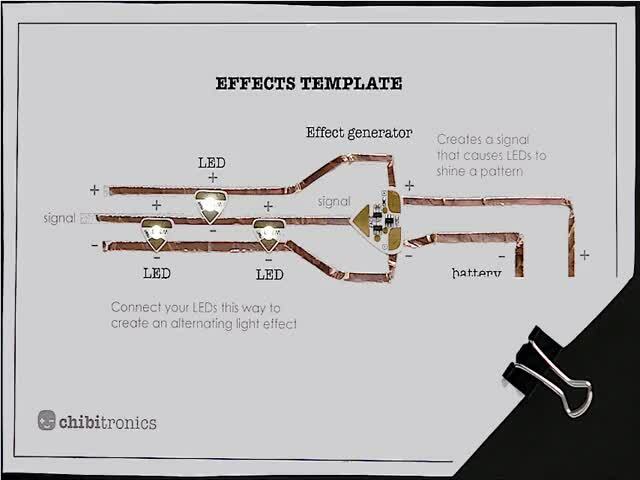 You can mix and match templates to get your own effects. We added a heartbeat effects sticker which pulses back and forth between and yellow and blue LED. This red LED indicates when the light sensor is exposed to light. When the binder is closed, the sensor deactivates the circuit attached to it. It can also do the opposite-- connect to the other side to make a circuit activated by darkness! Trapper Keeper ground effects, anybody? Follow the Chibitronics paper battery holder tutorial to fold up a secure pouch for the circuit's power source. 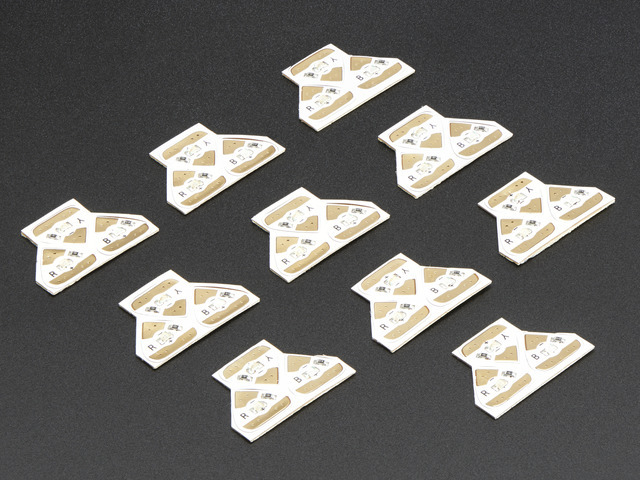 The flap can be positioned in the on and off positions. Scotch tape the battery holder to your binder and connect up the copper tape to your circuit. This guide was first published on Aug 13, 2014. It was last updated on Aug 13, 2014. This page (Plan and Build Your Circuit) was last updated on Apr 19, 2019.